At some point in time you have probably owned a Coleman cooler yourself, or someone in your family did. In fact, if you dig around your storage room or garage, there’s a high likelihood that you have one in there. Coleman coolers have achieved the top of popularity of coolers all around the world. Thanks to its highest quality, durability, long duration of ice retention period and reliable manufacturer today almost everyone who use coolers or is searching for the best one cooler, knows about Coleman coolers. Lovers of hiking or camping can hardly imagine their several-days trips without Coleman coolers. There is the high probability that at least one of your friends has a Coleman cooler at home because the demand on these coolers is incredibly high. For those who have already made a choice in favor of Coleman coolers brand, but still have not decided about the best model we have created this article. 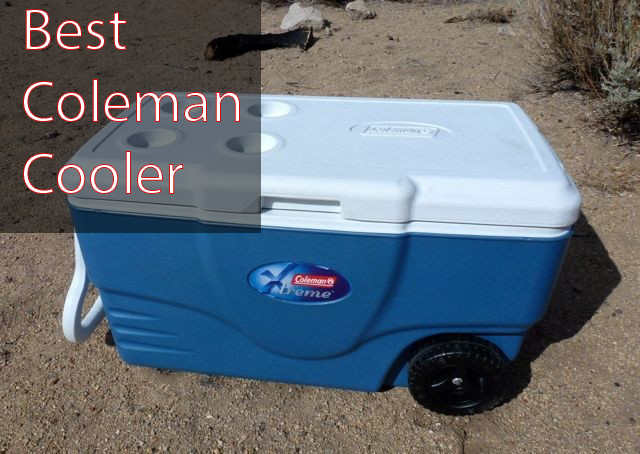 This post is like a tutorial that will help our readers to choose the best Coleman cooler for their trips. Comparison Table of the Best Coleman Coolers. Coleman Coolers. Our Top Variants Among the Best Ones. Of course whatever Coleman cooler you choose, you will never regret because these coolers have a quality that is proven over the years, but nevertheless we tried to pick up the best coolers among the many different coolers of Coleman line. After the first glance at this cooler you will immediately feel the smell of tasty barbecue and the crackle of firewood inside your camp fire. This cooler will remind you about long-term gatherings near the fire and the beach and camping with your friends. But let’s stop dreaming and take a closer look at the main cooler’s characteristics. This cooler is available in such bright colors as red, silver or green. With the capacity of 85! cans it will provide your company with cold beverages and fresh food during several days during your camping. The construction of the Coleman Steel Belted Cooler is equipped with the durable latches and handles made of the stainless steel. These features allow you to transport the cooler easily and don’t be worry about its insulation, with such construction it is at the highest level. Actually the design of this Coleman cooler has not very changed with the years. A lot of users write in their reviews that they have seen similar coolers at the home of their parents and remember them from the childhood. In fact it is complete true. The manufacturers of this cooler have not change its design, they only replaced plastic handles on the stainless-steel ones and made a latch more durable by replacing it to the metal one. Today you will find this cooler made from the metal outside and of the durable plastic inside it. Thanks to such construction this cooler can boast of long period of ice retention and is extremely popular among users. You can check its hi-res pictures on Amazon in order to take a closer look and the colors and construction of the Coleman Steel Belted Cooler. For those our readers who are searching for less expensive variant of Coleman coolers but want to get the good cooler’s characteristics this variant will fit perfectly. This cooler’s capacity is 48 quarts and it means that you can put up to 63 cans inside it that will be more than enough for you and your friends to take it to several-days trip. 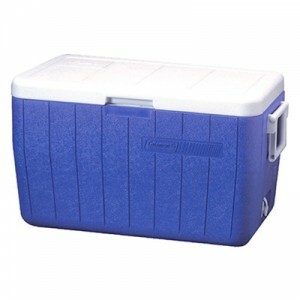 This Coleman 48 quart cooler is available in blue or red color and have a very recognizable design. Most likely that you have already seen such cooler at your friends’ home or anywhere else. This cooler is large and durable. With the convenient lid and easy cleaning material of its body the Coleman 48 quart cooler (that is available here) will fit all your needs. The duration of ice retention period of this cooler can be not so long as other Coleman coolers representatives have, but its durability is so high that most of other variants can envy it. While reading readers’ reviews we have noticed that many people write they are using such coolers during many years and consider it as the best coolers for all needs. One user wrote that he have used the Coleman 48 quart cooler during more than twenty years and still has not noticed any drawbacks in its using. 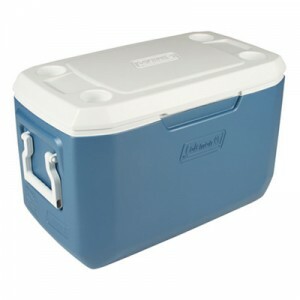 Our team recommend the Coleman 48 quart cooler for purchasing and claims that this cooler is really worth your attention. Those our readers who are searching for the large spacious cooler can stop at this variant and even don’t consider any others. The Xtreme Coleman cooler can boast of the highest capacity in comparison with other representatives of Coleman coolers line. 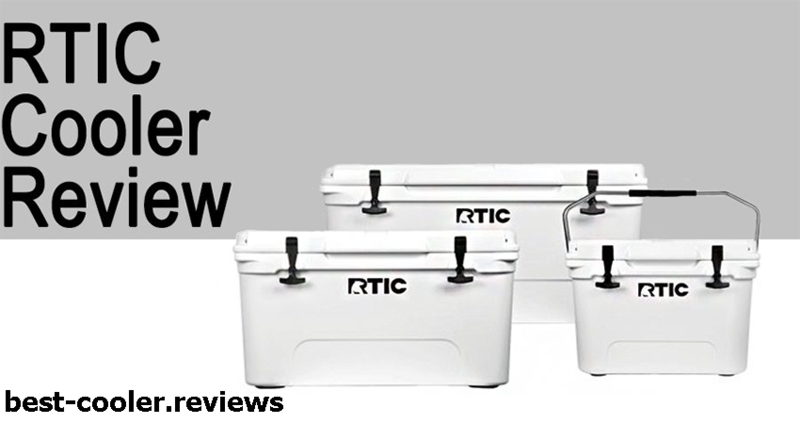 This cooler allows you to take up to 98 cans to your next tailgate party or camping trip that will be enough for rather large company of your friends. The construction of the Coleman Xtreme Coolers is designed for easy and convenient transporting but its portability can be rather difficult when the cooler is completely full. In such case you may need some help to transport it. This cooler also places the top position by its retention period. Comparably with other coolers this model can hold an ice inside it and chill your beverages during more than five days even while being under the rays of scorching sun. In their reviews on Amazon users write that this term completely coincides with terms promised by the Coleman manufacturer. The manufacture of this cooler ideally combined the convenient form and large capacity in it. Durable material of body and handles make this cooler very long lasting. Minimalistic and stylish design of this Coleman cooler distinct it from other models and makes it very popular among users. 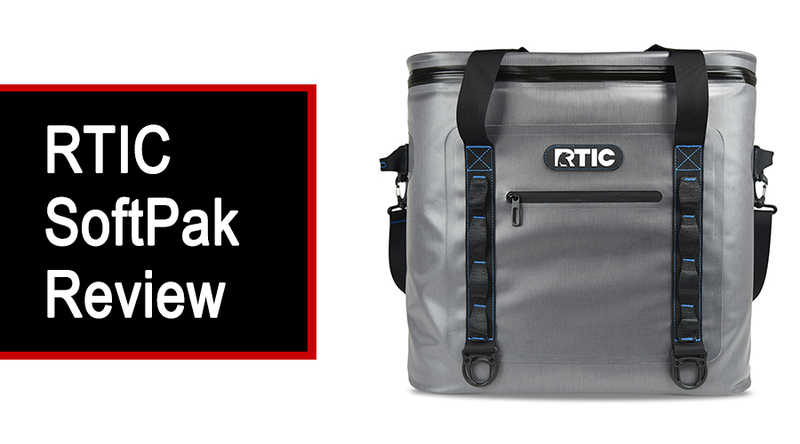 With such long duration of ice retention time and big capacity this cooler has all chances to become your favorite and you will not want to change it during many years. 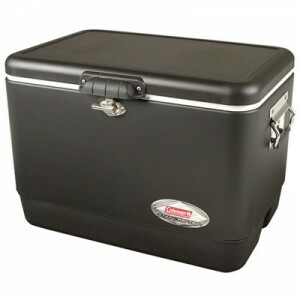 Unequivocally is recommended to purchasing if you are looking for a large cooler for your trips. For lovers of thermoelectric coolers our tem has chosen this amazing Coleman cooler. Sometimes you have no opportunity or time to regularly fill your cooler with ice during your trip. For such cases the best variant is the thermoelectric cooler that doesn’t inferior to the best representatives of ice chest coolers by its durability and duration of ice retention period. This cooler can hold up to 44 cans or bottles with your favorite beverages and keep them hold during a long time period. Thanks to many opportunities to charge this cooler you can use it during long road trips or transport it from one vehicle to another during your trip. This little beauty can be charged from cigarette lighter in your car or from the socket that makes it very convenient to use during your trip and even at dormitory as a refrigerator. Many users appreciate the Coleman PowerChill Thermoelectric Cooler for its portability and ability to use it for different purposes. Users claim that with the process of time this cooler doesn’t lose its features and the quality of its motor and characteristics remains the same high as when purchasing. Some individuals have used these on a regular basis over the course of a few years and have mentioned that the motors do go out on them, but when you think about the amount of money saved over the years from buying ice, the costs can be more than justified. Also this thermoelectric cooler gives you an opportunity to save your money. In what way? You simply don’t have to permanently buy ice. All you need is to plug it to mains. Best Coleman Coolers. Conclusion words. 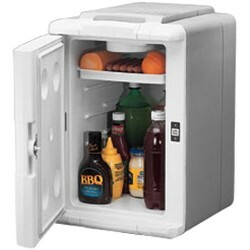 We hope that after reading this article you have eventually decided what Coleman cooler fits you the best. All that we can say in conclusion is that whatever option among previously mentioned you choose, you will not be disappointed and don’t regret about this purchasing. Such name of the coolers’ manufacturer as Coleman coolers speaks for itself and it means that the quality of EACH Coleman cooler can be the subject of inheritance for many other coolers’ manufacturers. Thus, we wish you to enjoy your Coleman cooler and are waiting for your positive reviews.